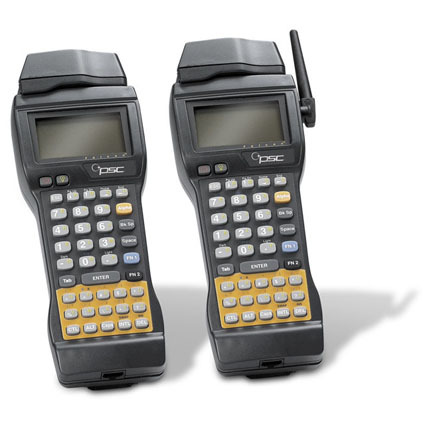 The Falcon 315 RF provides the same flexibility, ease of use, durability, and ergonomic comfort as the Falcon batch model ( Falcon 310 ), but it includes a 2.4 GHz frequency-hopping spread-spectrum wireless LAN adapter in its user-accessible PC card slot and an external, flexible dipole antenna. The PSC Falcon 315 RF is well-suited for demanding, real-time data-collection applications. The Falcon 315 has been Discontinued. Please call for a recommended replacement.